The Star Trek franchise continues to attract generations and generations of fans, including some astronomers who say they have discovered the planet Vulcan, a fictional world made famous by Star Trek. They’ve classified the planet as a “super-Earth” just 16 light-years away from Earth. The scientists will publish their findings regarding the super-Earth in the journal Monthly Notices of the Royal Astronomical Society; it’s currently available at arXiv. Planets which are considered super-Earths are located outside our solar system and have a mass that’s bigger than our planet’s mass, but much smaller than planets which are considered ice giants, like Uranus and Neptune in our solar system. 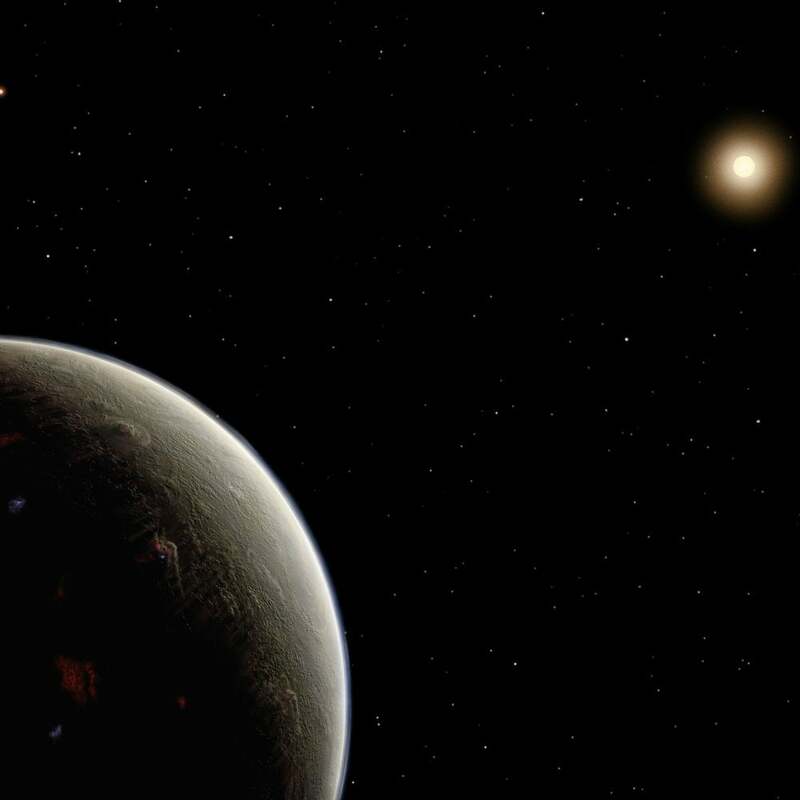 The new planet Vulcan is the closest super-Earth that’s been discovered orbiting a star similar to our sun. Planet Vulcan is twice as big as Earth, while it orbits the HD 26965 star every 42 days. It is also located in the optimal habitable zone, which is the region near a star in which the planet can host liquid water on its surface with the necessary atmospheric pressure. With these properties, the planet named for Vulcan from Star Trek can be considered a good candidate when it comes to the search for extraterrestrial life outside our own solar system. Scientists discovered the planet using the 50-inch Dharma Endowment Foundation Telescope (DEFT) located atop Mt. Lemmon in southern Arizona. The telescope is capable of making precise brightness measurements of Vulcan’s host star. This discovery is critical for scientists in and of itself. However, it may also appeal to science fiction fans, especially Star Trek fans. In the franchise’s fictional universe, the alternative name of the star HD 26965 is 40 Eridani A. According to the Star Trek database, the star hosts planet Vulcan, the home planet of Mr. Spock, a fictional character who is a science officer aboard the starship Enterprise. In 1991, three astronomers told Sky & Telescope magazine that the famous fictional planet Vulcan would likely orbit 40 Eridani A. Thus, it’s no surprise astronomers have dubbed the newly-discovered planet Vulcan. We prefer the identification of 40 Eridani as Vulcan’s Sun because of what we have learned about both stars at Mount Wilson. . . . The HK [Project] observations suggest that 40 Eridani is 4 billion years old, about the same age as the Sun. In contrast Epsilon Eridani is barely 1 billion years old. Based on the history of life on Earth, life on any planet around Epsilon Eridani would not have had time to evolve beyond the level of bacteria. On the other hand, an intelligent civilization could have evolved over the aeons on a planet circling 40 Eridani. So the latter is the more likely Vulcan sun. . . . Presumably Vulcan orbits the primary star, an orange main-sequence dwarf of spectral type K1. . . . Two companion stars — a 9th magnitude white dwarf and an 11th magnitude red dwarf — orbit each other about 400 astronomical units from the primary. They would gleam brilliantly in the Vulcan sky.